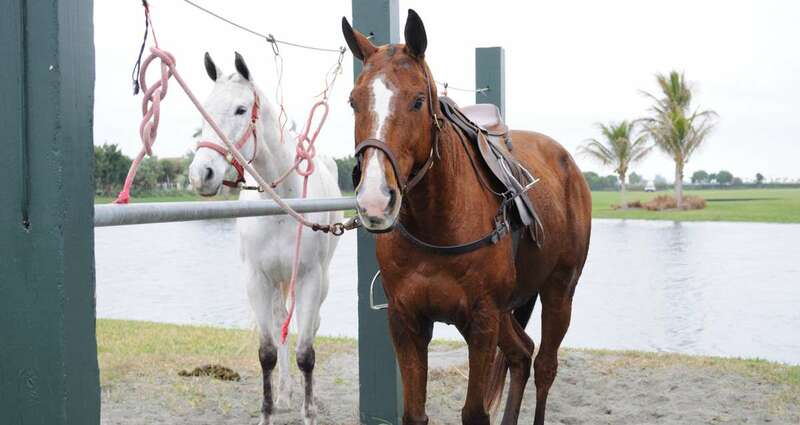 From Jupiter down to Wellington, Palm Beach County is a haven for horse lovers. Numerous equestrian-friendly communities and neighborhoods boast pristine trotting trails, tack and feed shops, boarding facilities, farrier services, and riding rings. 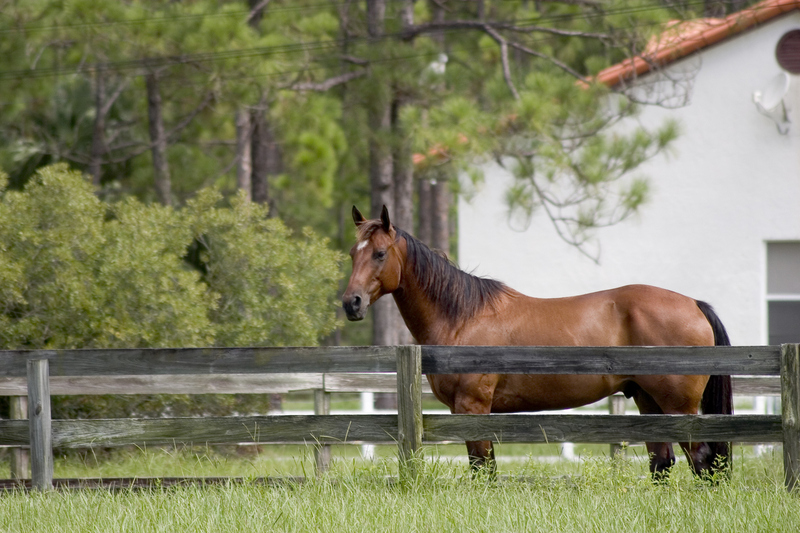 With warm winters, horses who have the honor of calling Florida home have no need for turnout blankets and freely graze in grassy pastures all year. To avoid the harsh, northern winters, many snowbirds bring their equine family members with them to bask in Florida’s seasonal sunshine. The Wellington, Florida lifestyle is defined by fine equestrian events, grand polo matches, fashionable riding attire, and expensive, thoroughbred horses. In fact, some resident horses themselves cost more than the expansive residences and manicured barns in which they reside. Luxurious, equestrian-friendly neighborhoods include Grand Prix Village, Equestrian Club Estates, the Meadows, Mallet Hill, and Palm Beach Point to name a few. The palatial Palm Beach Polo Golf and Country Club marries two favorite Florida pastimes: equine events and golf. This community features eight polo fields, multiple clubhouses, a fitness center, outdoor swimming pool, and two championship golf courses, one designed by Pete Dye and the other by Ron Garl and Jerry Pate. As an added bonus to Wellington residents, competitive riders are able to conveniently train at the nearby Palm Beach Riding Academy, a highly touted facility whose riders compete on the local show circuit. The annual Palm Beach Winter Equestrian Festival held at the Palm Beach International Equestrian Center in Wellington is the world’s largest equestrian competition and attracts more than 2,500 highly-ranked domestic and international hunter/jumper riders. Also in Wellington, the International Polo Club Palm Beach features professional polo matches between the world’s best teams including Audi, Dubai, White Birch, Orchard Hill, Lucchese, and Palm Beach’s home team, Valiente. A premier Palm Beach social outing, the Sunday polo matches present patrons with the opportunity to enjoy champagne brunches, grand-stand camaraderie, champagne divot stomps, and post-event parties. Clearly, the Wellington lifestyle easily maneuveres between barn working days and fashion forward nights. Farther north, Jupiter equestrian life is comprised of both formal equestrian communities and rural working barn ones. Upscale communities such as Ranch Colony feature well kept bridle paths, 24-hour security, a guard gate, and exquisite estates with equally expansive stables. Here, young riders are able to take lessons at state-of-the-art equestrian centers including Desert Rose Ranch and Jupiter Equestrian Center. Across the main thoroughfare of Indiantown Road is Jupiter Farms, a rural neighborhood with both large estates and ranch style homes. Most of the homes in Jupiter Farms are situated on large lots, ranging between two to ten acres, and many possess separate farming quarters for horses, chickens, and personal gardens. Like Ranch Colony, transportation via a four-legged friend is not uncommon. In fact, the main shopping center in the neighborhood is designed with a farmhouse feel and welcomes horse parking. Within the Jupiter Farms community, many riding facilities are available for both novice and seasoned riders alike.